You do not pay a commission! 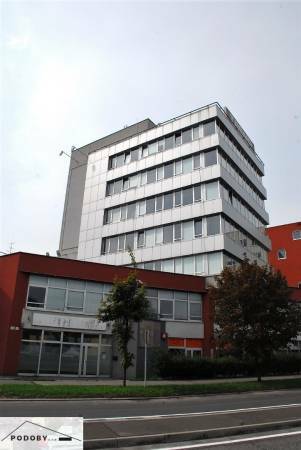 We offer for rent an office of 36,38m2 on the street Mlynské nivy. Office is painted, floating floor, plastic windows, blinds, air conditioning unit. It is rented out. At the beginning of the rental, 2-month rents are paid. The rental price includes energy of 12 € / m2 / month without VAT. It is located on the 2nd floor of three in an administrative building without a lift, it is rented for an indefinite period, there are shared toilets in the corridor. All floors are on the chip. The administrative building is connected to a central security desk, complete chip security, camera system. There is permanent access to the building 24h / 7 days a week, even during the holidays. The building has a buffet and a dining room. Possibility to rent parking space 33 € without VAT / month / 1 parking space. If you are interested in more information or current offer of free offices, do not hesitate to contact us on the attached phone number. number or email. Your listing no. ZR-455192 seems interesting, please contact me. Send me more information about the offer no ZR-455192.